Simple is better, and Simplicity is a virtue in itself. BTW, the S4 features 6 molded-in vertical holes in its front deck: 2 carry handles and 4 wide support structures, and it’s possible to drop and raise an anchor though any of them. Right, Yoav……..the number of accessories for fishing kayaks blows my mind, and much of it is made necessary by the cramped mono-hull design. Less is better, SIMPLICITY is the key, and the design and roominess of the twin hull design is unparalleled for achieving both. For the most part, I agree. But in some cases you need to be able to unhook from the anchor quickly and with one hand, because the other hand is occupied with a large hooked fish which might break off if you are still anchored. You would need to pass the line through the clip to a place close to you with a slip knot for quick release. 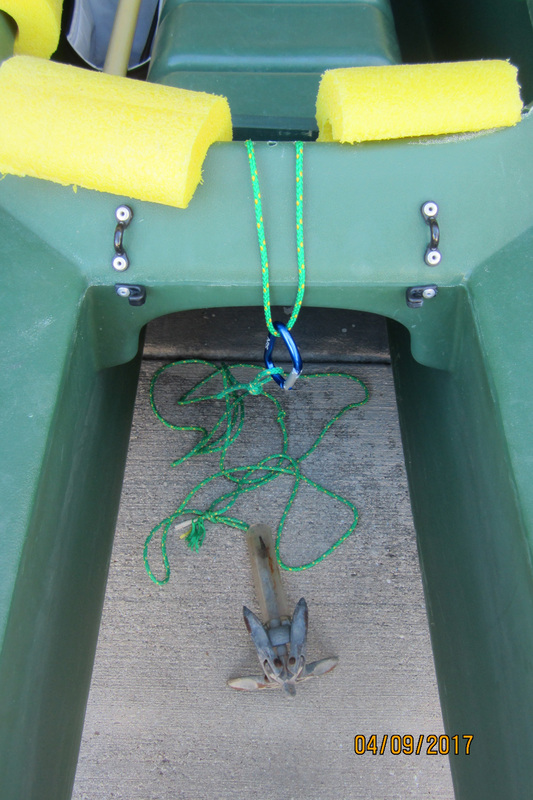 A float attached to the anchor line would enable you to retrieve it easily after landing the fish. There could also be an emergency of some sort which might also require you to cut loose from the anchor quickly. I agree that it would complicate the anchor setup, but I always plan for the worst and hope for the best. By the way, I have never caught a fish big enough to pull me around, but it might happen one day. I’d hate to lose it because of the anchor. “Always plan for the worst and hope for the best” – Indeed, this is a practical advice. Stuff happens when you’re out there on the water. A cam cleat mounted at the bow or stern would make a good one handed quick release for an anchor line. 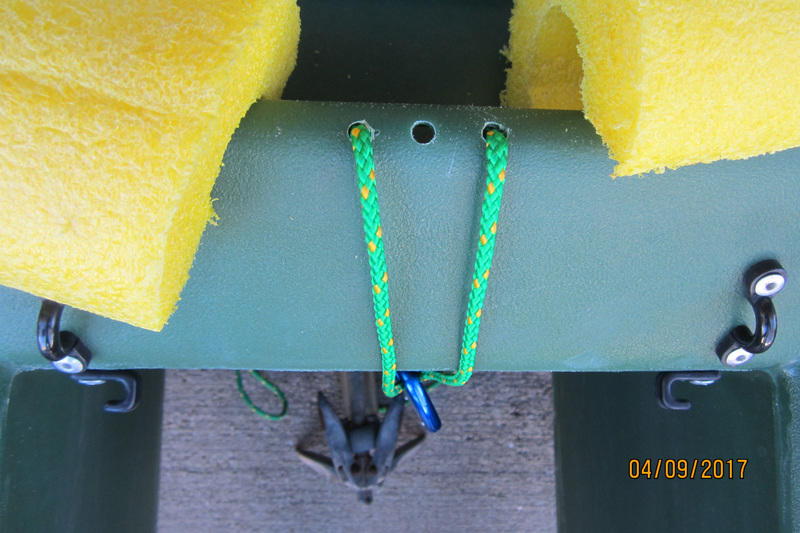 In shallow water, a stake out pole is pure simple and easy to stow in the bottom of a Wavewalk hull. This looks like a good solution for the S4 as well. Thanks, Tom. Very few yakers that I know, including all those with trolley setups, could quickly release their anchors one handed. I don’t like the stake out poles, but Larry’s cleat fix could be a solution. I can’t envision hooking something so large fishing the backcountry with my light gear, that I’d be worried about a one-handed anchor release. Any fish that big would break my 10lb line first. Your concerns seem more valid using heavier gear for bigger fish in deeper water.